Here's a roundup of who changed their hair this year! 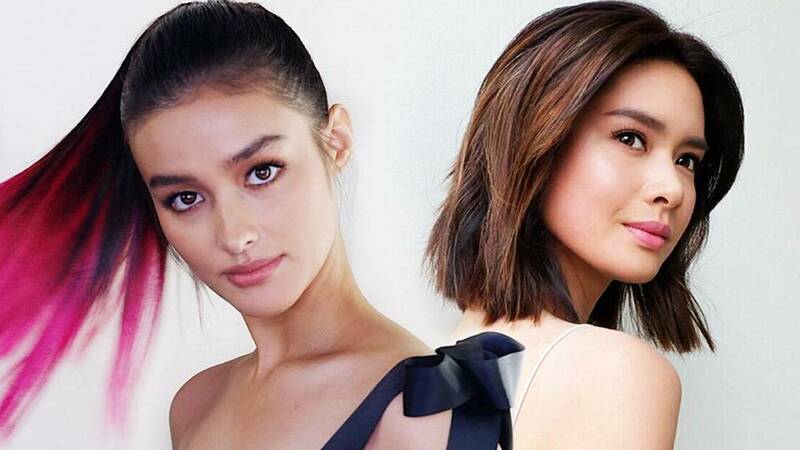 We're looking back at all the (local and international) celebs who made major changes to their hairstyles in 2017—whether they added bangs, made a drastic chop, or dyed their tresses in fun and crazy colors! The trendy content creator began the year by adding textured, jagged bangs to her stylish bob. Taking the quote "Out with the old, in with the new" to heart, Erich Gonzales ditched her long, voluminous tresses for a neck-length layered bob after breaking up with Daniel Matsunaga. In March, Bea Alonzo joined the short hair club by getting a lob (One of the trendiest hairstyles of 2017!) and wispy bangs. We're definitely loving Bea 2.0! With her choppy side bangs, Angel's pixie cut is a great style for every face shape. Another celeb who went really short this year! Kaye's 'do was right on time to stay presko during summer. While Korean celebs tend to stick to their signature locks, Song Hye Kyo surprised her fans when she was spotted at the airport with a new blunt bob! Gabriella Montez, who? Vanessa looked every bit the fashionista she is when she posted on Instagram her new '70s-inspired look. If you want to dramatically change your hairstyle, why not mix gray and blonde to create ~*kewl*~ highlights? The Brit model's undone wavy hair was as famous as her bushy kilay. So imagine our shock when she shaved her head! Not yet ready to dye your hair millennial pink? Start with the ends first, like Arci! Nina's locks have gotten a lot shorter ever since she finished The Vampire Diaries. But we were still shookt when she debuted this '90s famous style! The actress is famous for playing the blonde Daenerys on Game of Thrones—but IRL, she has chocolate brown hair. So when she posted that she dyed it "Khaleesi blonde," we were beyond excited. And ofc, theories on what it means for her character on the show started popping up! Can you believe it took nine hours and two hairstylists for Sel to achieve this level of iciness? Kim is no stranger to the hue, but what makes it special this time is she actually stayed blonde. Go, Kimmy!